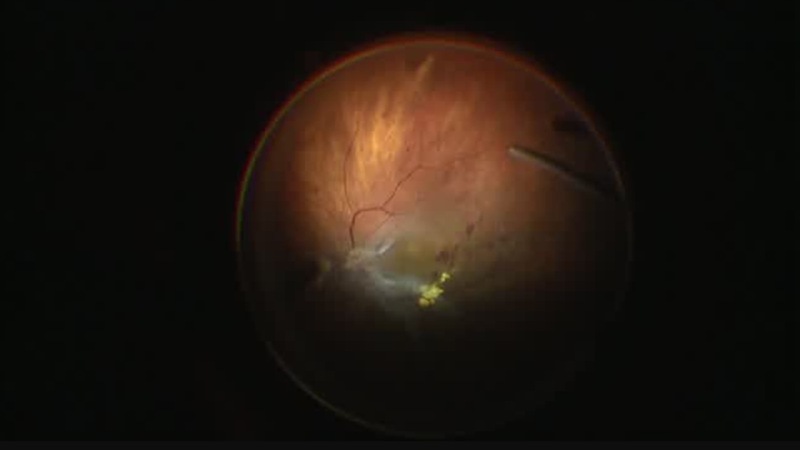 This patient had several surgeries for retinal detachment and severe cornea edema made it impossible to evaluate the retina. An exploratory 23 gauge endoscopy with the Ngenuity (Alcon) revealed a partial detachment, scarring, and a exposed choroid. Much more information than ultrasound. Thank you for the video.